JOED VIERA/STAFF PHOTOGRAPHER-Lockport, NY-Tasty Treat owners Nanette Frey holds stand outside the stand on Thursday. The ice cream stand is set to open for its 17th season on March 2nd. 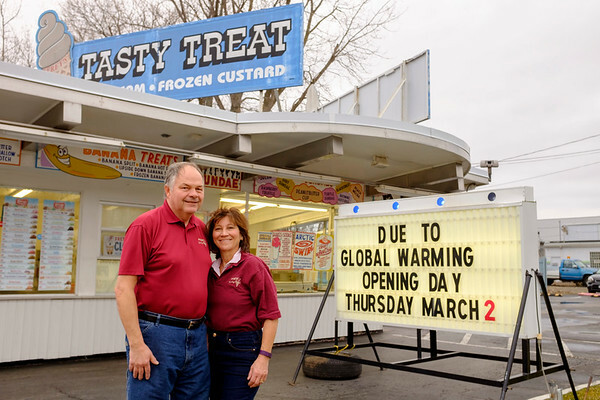 Although Tasty Treat traditionally opens on the first Thursday in March, this year they joked that it was due to global warming.